Enjoy easy transfer between Santa Marta and Barranquilla aboard a relaxing coach bus. 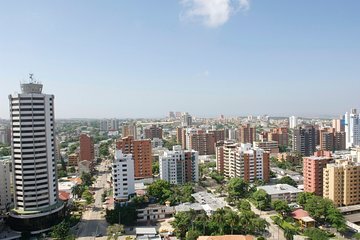 This one-way service is offered daily and includes a stunning 2-hour coastal drive to your hotel in Barranquilla. Simply book ahead, and then sit back and enjoy the ride.